HidroFarm allows the measurement of soil moisture without the need for sample extraction for analysis, providing ease and agility. 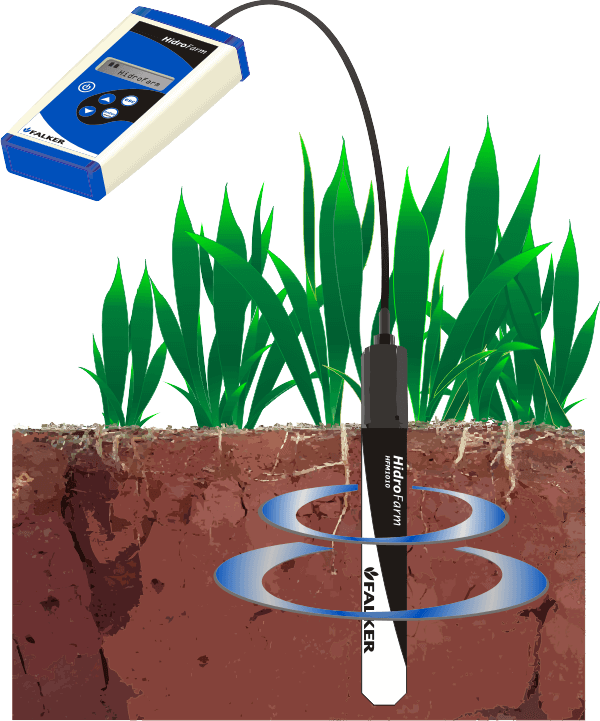 HidroFarm measures the impedance of the soil at high frequency, emitting electromagnetic waves and analyzing the response of the soil. * Factors such as soil salinity, texture and pH may interfere with this value. Recommended post-installation calibration. 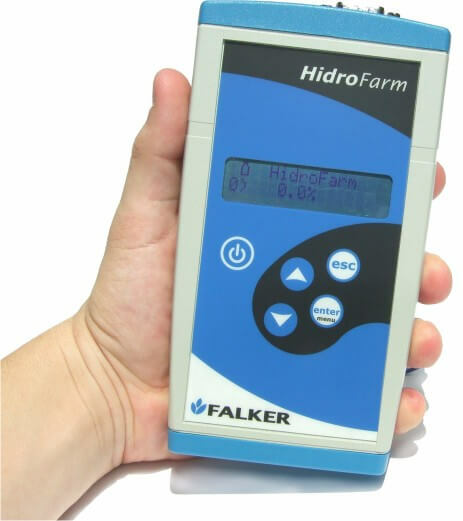 There are two models of HidroFarm meters using the same sensors. The basic model is the HFM2010. The HFM2030 is the model with expanded memory and the possibility to communicate with a PC. See the differences between the models in the table.